We are proud to share some comments we received about our activities. We love sharing the Cosmos with you and we are always happy to hear your feedback: it will help us to improve our services. Feel free to write us your thoughts. “Personnellement je vous suis depuis quelques temps… c’est toujours un Instant Magique…même parfois grandes émotions…un direct est toujours plus impressionnant!! surtout avec un Excellent Professeur! !,même si je ne comprend pas vraiment l’Anglais… je comprend mieux l’Italien…mais l’assemblage des 2 langues je m’en sors pas trop Mal!!! et grand Merci à Gianluca Masi… pour tout ces instants Magiques!! “I believe that Virtual Telescope Project solves the biggest problem that prevents astronomy enthusiasts to get even deeper envolved in Astronomy, and that is the lack of funds to buy a telescope. VT solves this problem and allows a person, for a little money, to use very good telescopes observe and photograph Space. It also gives them a chance to get even more involved in astronomy and engage in serious research thanks to the dedication and work of Gianluca Masi and Gisella Luccone. VT allows people to hear so many interesting things about astronomy, but not in the way as you read the book all alone, but by socializing with many people around the world while listening to Gianluca’s lecture. Any observation that Gianluca organized was very interesting and many many people attended them. If I tell you that every observation attend many hundreds, even thousands of people, it just proves how much they are interesting. This is proof that the online observations and lectures are always interesting, the idea and philosophy of Virtual Telescope project is excellent and the staff of VT is great”. “It truly has been an excellent journey on each and every program. 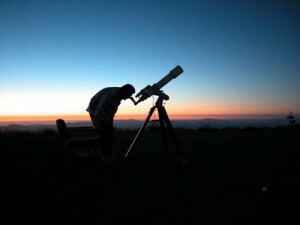 The ability to talk with and share the Group Astronomy knowledge to new and seasoned friends. Thank you so very much”.